Experts, professionals, and exhibitors from the traffic technology industry will be meeting in Turkey this week, as the ninth staging of the Intertraffic Istanbul show takes place at the city’s Expo Center, on May 24-26. Staged biennially for an industry in rapid transition, Intertraffic Istanbul 2017 showcases the latest products, systems and services from national and international suppliers, and in the past, the event has proven to be an outstanding business platform for Turkey, the Middle-East/North Africa (MENA) region, and surrounding countries. The previous Intertraffic Istanbul in 2015 had 5,784 visitors from 94 countries, with 30% of attendees coming from outside Turkey. Combined with a solid conference program, the event offers attendees a multiday business and knowledge transfer opportunity. This year’s event, organized in cooperation with regional partner UBM NTSR, will occupy two halls and multiple conference rooms. 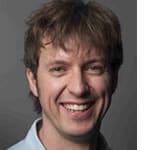 Carlo van de Weijer, director of strategic area smart mobility of the Eindhoven University of Technology will present the ‘Future of Mobility’ in the Intertraffic Theatre. The International Road Federation (IRF) has a strong presence at this year’s event, running four interactive workshops, featuring key issues such as road safety, intelligent transport systems (ITS), successfully deploying automated speed enforcement system, and making use of big data for roadway analytics. A delegation of ITS Korea, in collaboration with Turkey’s national ITS association AUSDER, will address various topics. National and international companies and brands will showcase their latest, trendsetting products and technologies, with the winners of the Intertraffic Istanbul Awards winners to be announced on day one of the event, which will highlight some of the best very ideas available in the marketplace. Organizers RAI Amsterdam have a further event later in the year, with Intertraffic Mexico taking place on November 15-17, and then Intertraffic Amsterdam on March 20-23, next year, followed by Intertraffic China 2018 on May 28-30. 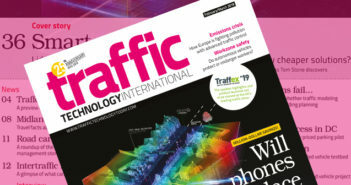 “The developments in traffic technology are happening very quickly, visitors will see and hear the latest updates from the industry. Outstanding products and projects at the show will be acknowledged with an Intertraffic Award,” said the exhibition director for Intertraffic Istanbul, Joyce de Winter.